Automatic stereophonic warehouse system -Zhongshan Handsome Industrial Equiment Co., Ltd. Automated warehouse is the rapid development of modern logistics system is an important component , mainly by the top shelf , aisle stacking machines, conveying equipment out of storage , automatic control and management system components, auxiliary equipment and roadway out of storage stacker capable computer management , the completion of the goods out of storage operations, warehouse management and implementation of the integrated management system with superior networking , you can modernize management , access automation, can automatically complete access to cargo operations , and is able to automate the management of inventory of goods . 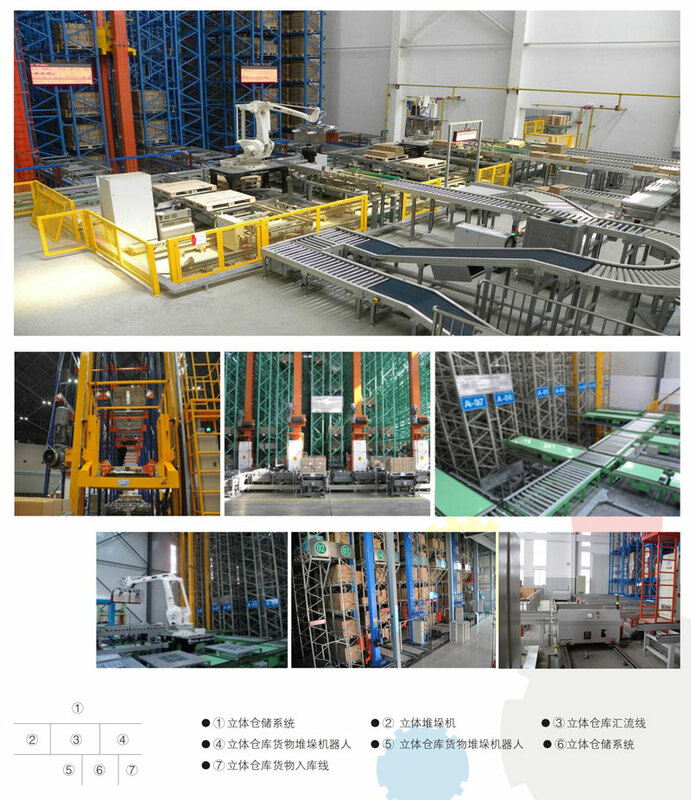 And plant-level networking and computer management information system closely connected with the production line is automated warehouse today CIMS ( Computer Integrated Manufacturing System ) and FMS ( Flexible Manufacturing System ) essential key . Advanced technology , the use of on-site control bus direct means of communication , truly computer monitoring not only control all the decisions , job scheduling and on-site information , such as by stackers, conveyors , etc. out of storage devices through the inter -site communication to coordination is completed. ● Each cargo pallet stacker numbers are recorded in the database and the computer , administrators can use comparison function to compare the computer records and stackers in the record , and modify , modifications can be done automatically and manually . ● System software and hardware functions, user interface, clear, easy operation and maintenance . ● stacker with automatic recall the origin function, that regardless of any situation , as long as the fork is centered and level of functioning when , in accordance with an order issued automatically return to the origin . This means that operators and maintenance personnel can not enter the roadway as possible . ● Intelligent control system, can achieve a truly automated stocktaking function avoids the cumbersome manual stocktaking work, to reduce the intensity of warehouse management staff , while ensuring a library job error rate is zero. Stacker direct transit cable roll , roll , cell devices, etc.